Testolone (RAD140) - REAL RESULTS With Before & After Pics! 3How does RAD-140 work in the body? 4What are the effects of RAD140? 6What are the side effects of RAD140? Different people have different goals from their SARMS cycles. Some want to gain an insane amount of mass. The go-to SARM in such situations is LGD-4033 or Ligandrol. Others want to cut fat while they continue to stuff their body with junk. Ostarine might help. But it will definitely work a lot better if you watch what you eat and hit the gym while you are at it. A selected few sane ones on the other hand, trade mass gains for strength gains. They want to lift the best they can and break their previous thresholds for bench press, squats and deadlifts. That’s the smart thing because if you lift hard enough and eat well, the mass will automatically follow. That’s where Testolone or RAD 140 comes into the picture. Despite the similarity in the name to Testosterone, RAD140 is touted to be the ultimate strength-gain SARM. Not that you won’t make some neat muscle gains while you are on the drug. But the strength gains will definitely be more pronounced. Even at incredibly low doses, it has a considerable anabolic effect and it might actually suppress androgenic sides. Now that sounds really interesting, doesn’t it? Let’s take a closer look at this promising compound. RAD140, also called Testolone is a selective androgen receptor modulator that is being studied (investigative drug in Phase I of clinical trials) by Radius Healthcare for its potential use in the treatment of weight loss caused due to Cachexia and as a safer alternative for Testosterone replacement therapy. SARMs like RAD140 can be better alternatives to T because they are only partial agonists or antagonists to androgenic regulation of prostate while still having androgenic effects on other tissues such as muscle and brain. It has a selected affinity towards androgen receptors in bone and muscle tissue, which allows users to gain lean muscle mass and prevent muscle wasting. It is also beneficial in reducing prostate enlargement, which is common in anabolic steroid users. At higher-than-normal doses, it can also help in losing fat and it is neuroprotective. Initial clinical studies on mice were extremely successful which paved the way for human studies. How does RAD-140 work in the body? RAD140 is a SARM and like any other SARM, it has a high affinity for specific androgen receptors (muscle and bone) in the body. It binds itself to these androgen receptors where it mimics the action of androgens, which are hormonal compounds, like testosterone and DHT. One of the actions is increasing Nitrogen retention and boosting protein synthesis, which allows the user to gain lean muscle mass. But unlike synthetic androgens like Testosterone and its derivatives, Testolone does not aromatize or get converted into DHT. Nor does it bind to androgen receptors in the prostate or cause liver toxicity. What are the effects of RAD140? RAD140 is a very versatile compound that can be used for both, bulking and cutting. It’s androgenic side effect suppressing action makes it an excellent compound to add to any steroid cycle that has a high risk of aromatization and prostate related side effects. Almost every steroidal compound will make that list. 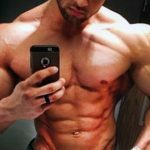 Even if you use it as a standalone compound or use it along with other SARMS or AAS, here are some of the effects that you will see. RAD140 will make you stronger. And it begins to kick-in as early as week 2 of your cycle. You will notice that lifts become easier. Your sets start to last longer and become more intense. You will easily bypass your previous bests. And unlike AAS which tends to give you a fake sense of strength that eventually results in injury, strength gains with Testolone are gradual and consistent. While muscle gain on RAD140 will not be as pronounced as it normally is with AAS or other SARMS, it has a hardening effect and gives you great pumps. Something similar to Anavar or Masteron. This makes it a great finishing compound, especially if you are using steroids like DBol, which tend to cause a lot of water retention. Ever had to drag yourself through your workouts? That happens either because you are in poor shape or you’ve just come off a steroid cycle. Either ways, RAD140 is your ticket out of that miserable, lethargic feeling. It makes workouts enjoyable again. Most people who have used it also report an improvement in mood and overall well-being. Being a non-hormonal compound, RAD140 does not aromatize nor does it get converted to DHT. On the contrary, it helps reduce swelling of the prostate gland, a possible side effect of exogenous testosterone. So, if anything, it’s a great compound to add to any anabolic steroid cycle. RAD isn’t the most ideal SARM to use for fat loss. But with the increased muscle mass and the intense workouts, you will lose some fat, primarily in and around your gut. One of the intended therapeutic use of RAD140 is prevention of Alzheimer’s. Although it might be years before we see an FDA approval for the same. Testolone protects the brain from amyloid beta proteins and increases brain cell growth. RAD140 works great as a solo compound. But its effects can be amplified when stacked with certain SARMS, like LGD-4033, which makes for a great bulking combo. For men, the ideal dosage is 15-20mg/day. The maximum recommended dose is 30mg/day. Females can achieve good results with doses as low as 10mg/day. But results are dose specific. The risk of side effects increases exponentially as you increase the dose though. So, fly low. As eventually, the risk to reward ratio starts to skew more towards the risks. You can run a Testolone cycle for up to 12-weeks and then follow it up with PCT. RAD140 is one of the strongest SARMS that you can use. Despite what anybody would like you to believe, a compound that strong will cause some side effects. Increased aggression: You will start feeling like god when you lift. But some of that aggression can begin to manifest in your out-of-gym behavior as well. It’s nothing compared to Roid Rage though. You probably won’t kill anybody. And the aggression will start to diminish as you go off-cycle. 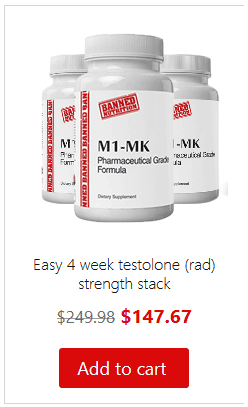 Suppression: RAD140 will suppress your natural testosterone production up to 70%. But it won’t shut you down completely. You can restore this with a PCT cycle or use Proviron during your RAD140 cycle. Any reports that you read about RAD140 causing cancer is bunk. Don’t go overboard with the dose or the cycle length and you should make some great gains in strength and size without causing too many side effects. And once again, be cautious of where you buy your Testolone from. You want to ensure that you buy from a reputed source that provides you with a 3rd party certificate of analysis if possible. How do you take rad-140? Do you just squirt on your tongue?